"It's A Long Story I'll Save For Later" traverses the former homesites of Paper Buck's (post-) Irish Catholic family across backwoods Pennsylvania and Southwestern Ireland. 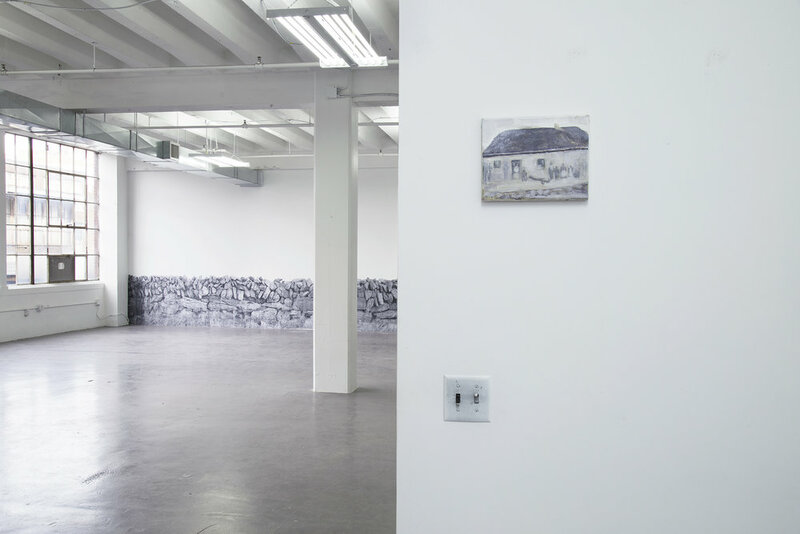 Through video, drawing, photography and writing, this installation is a meditation on the dynamic process involved in the construction of collective memory, or it's lack-- forgetfulness. Looking at his family tales in terms of trauma and assimilation, white supremacy, diaspora, and empire, the exhibit explores the sculpting of narrative, in both silence and embellishment, to explore the affective landscape of storytelling. Paper Buck is a trans interdisciplinary artist working across printmaking, painting, video, photography and installation. A foundational part of his practice is focused on anti-racist, feminist, queer praxis, and direct participation in social movements. Recent research-based projects explore the intersections of intimate and collective memory with national mythology, contemporary politics, and situated historical context.